We think you’ll turn a few heads in Central Park if you’re driving a water melon around when everyone else is piloting sailboats. 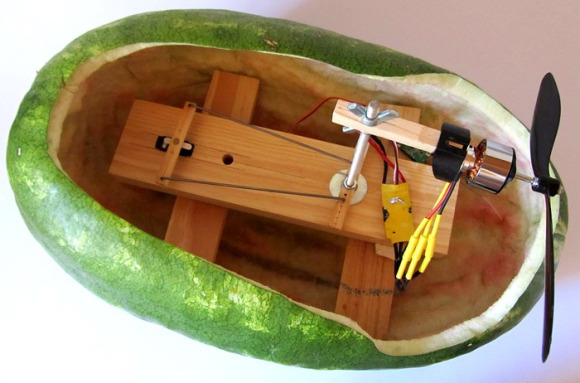 This watermelon is both sea worthy and radio controlled thanks to the work which [Starting Electronics] put into it. We used this image because it shows you what’s inside of the hull, but you don’t want to miss the thing motoring around an above-ground swimming pool in the clip after the break.